Pre-Season Practice begins Monday, August 12th. For the first TWO weeks, all teams will practice FOUR nights a week, Monday-Thursday, from 6:00 to 8:00 p.m. Then the regular season practice schedule will begin for the remainder of the season. Tuesdays and Thursdays from 6:00 to 8:00 p.m.
*Please Note: Not all “home” games are played at FHS. There will be times where your team is designated as the “home” team but your game will be played at one of our other field locations. This is based on scheduling and field availability. GridIron Teams are formed based on residency within a high school zone of Fort Bend County. The zone you live in will determine which team your child will be placed on. 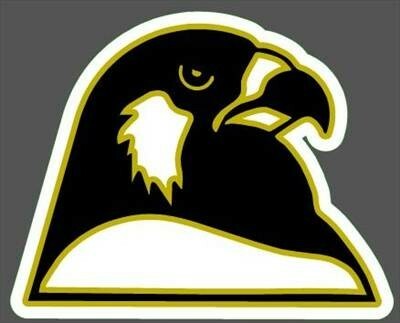 All kids zoned to Foster High School will be placed on the GridIron Foster Falcons teams. **Proof of residency and proof of age will be required of all FIRST-TIME football registrations. PLEASE NOTE: If you do not live in one of our active zones, you can still register. A player who lives outside an active zone will be placed on a team in the nearest active zone in need of players. Kids from the same zone and in the same division will be kept together. This process is what we call "allocation." Final allocations will be determined by the Board of Directors within one week after the May 31st registration deadline. Unsure which zone you live in? To find out, click on the links below and enter your address. If you live in Fort Bend ISD, click here. If you live in Lamar CISD, click here and then click on "Find My School." For quick reference, below is the list of schools that are zoned to FHS. GridIron supports our local high school football teams and booster clubs. We encourage parents and kids of GridIron to attend high school athletic events while wearing the colors! Special thanks to FHS Head Football Coach, Sean McDowell, for your continued support of GridIron Football. CLICK HERE for the FHS Athletic Website to view game schedules and events in your community.